Miss Manners explains proper etiquette for addressing envelopes. 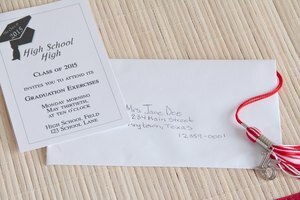 Whether you write one envelope to a friend or a few hundred envelopes for invitations for special occasions, adhere to the Miss Manners method of addressing envelopes, as she is an expert in etiquette. Judith Martin, otherwise known as Miss Manners, began her newspaper column about etiquette in 1978. The aim of her column is to promote the practice of civility and etiquette and decrease friction in everyday life. 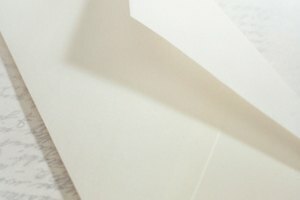 When you address an envelope to one recipient, the most basic style is to use the proper honorific, followed by the recipient's full name. "James Lawson" becomes "Mr. James Lawson." "Margaret Lawson" is "Miss Margaret Lawson" if she is unmarried and young. You may address an unmarried woman beyond young adulthood or a married woman as "Ms. Margaret Lawson." Miss Manners says that when you use "Mrs." for a married woman, you cannot use "Mrs." before her own given name. The correct address would be "Mrs. James Lawson" – with her husband's full name – or "Mrs. Lawson." For either gender, use honorifics such as "Dr." and "Rev." in place of "Mr." and "Mrs." when applicable. 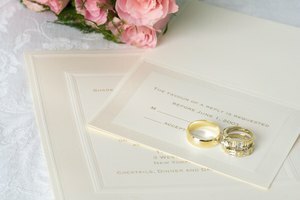 When you address an envelope to a married couple with the same last name, Miss Manners dictates that the proper address is "Mr. and Mrs. James Lawson," using the husband's full name. 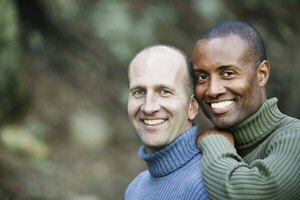 You can also address the couple as "Mr. and Mrs. Lawson" if that is their preference. Swap out title honorifics when necessary: "Dr. and Mrs. James Lawson" or "Rev. and Mr. Lawson," for example. When you want to address a married couple, but the couple has different last names, you address them both in separate lines of text. In one line, you write a name such as "Ms. Margaret Smith-Lawson" and in the next, write "Mr. James Lawson." Do not use "Mrs." if you separate the names, but you may use other titles when applicable. When you address a family, it can be tempting to write simply "The Lawsons" or "Mr. and Mrs. Lawson & Family." However, Miss Manners says that you should address every individual. Begin with "Mr. and Mrs. James Lawson" in the first line and use subsequent lines to include the children or other relatives who live with the couple: "Miss Georgia Lawson" and "Mr. William Lawson" and the like. McNulty, Amy. 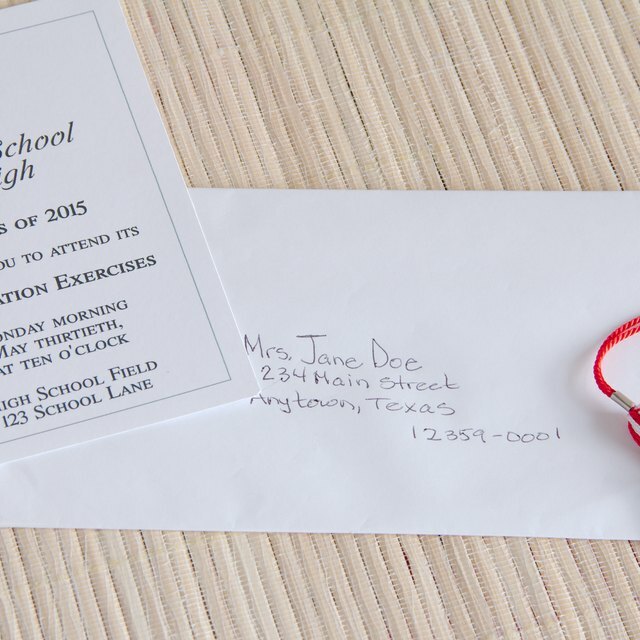 "Miss Manners' Etiquette for Addressing Envelopes." 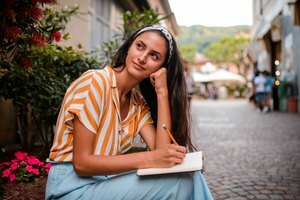 Synonym, https://classroom.synonym.com/miss-manners-etiquette-for-addressing-envelopes-12083985.html. 29 September 2017.